With the arrival of the young Turks of golf - Tiger, Sergio, and the gang - veteran editor Michael Caruso felt the need to create a magazine that made golf fun and accessible to the younger generation. "Not your father's golf magazine" promised the publication's tagline. 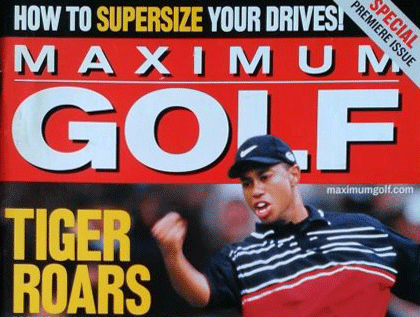 The Maximum Golf editorial staff sought a progressive integration team to design an editorial system for article, picture, and layout management. There is no higher compliment to us than when customers get their jobs done without the technology supporting them getting in the way. If staff can use the system daily to write and edit articles, scan and input drawings and photos, and lay out pages, then we've done our job well. Maximum Golf has since closed its doors, but we leave this case study on our website with pride. It also serves us as a guidepost for staff to remember that projects succeed not just with great technology, but with great customer service.